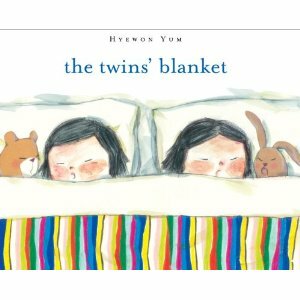 Coryn's favorite book from our last library trip is The Twins' Blanket by Hyewon Yum. It's a sweet, short story about two "look alike twins" who share everything, including the same bed and special blanket. When their mom decides it is time for each to have her own bed, neither can decide who gets the blanket. Coryn likes to watch the little girls fight and make up thanks to their mother's creative solution. One, as he got older and crustier, Einstein came to distrust quantum mechanics. Its statistical and deeply probabilistic nature sounded too much like gambling to him, and it prompted him to object that "God does not play dice with the universe." He was wrong, and it's too bad that most people have never heard the rejoinder by Neils Bohr: "Einstein! Stop telling God what to do." I think the author means Einstein had been wrong to doubt quantum mechanics rather than that God really is deciding things via a cosmic dice game, but I do like Bohr's clever retort. Managed to Read "The Shack"